Sleek Black furniture works in both modern and traditional settings. This hand-painted bombe chest features our center stage Black finish, accented with neutral tale painting and antiqued brass drawer pulls. The chest rests upon a high cabriole foot -a nice detail. There are three wide drawers. 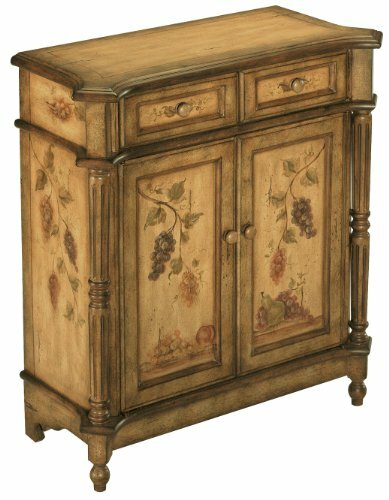 A hand-painted foliage design embellishes this sturdy, practical accent cabinet. The black finish is lightly distressed. Four drawers provide storage. A pull-out shelf just under the top gives you room to write, set a beverage or re-charge your favorite device.Home Meridian International warrants this furniture to be free from material manufacturing defects for one year from the date of purchase. Under this Warranty, the sole liability of Home Meridian International is limited to repair parts. This Limited warranty provides coverage solely to the original retail purchaser and does not apply to rented, business, commercial, institutional, or other non-residential uses. All warranties, whether express or implied, cover only normal household usage. No warranty, express or implied, applies to any condition resulting from misuse, abuse, delivery or transportation damage, nor -any condition resulting from incorrect or inadequate maintenance, cleaning or care. Dated proof of purchase is required for all warranty claims. 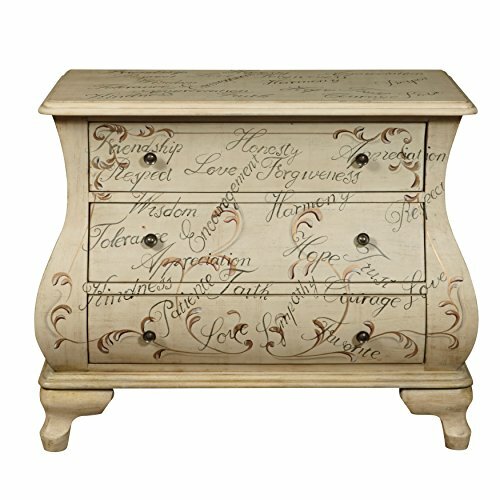 The Orchard Petite Chest offers traditional styling with beautifully detailed hand painted fruit motifs. Featuring two drawers and two doors that open to a fixed shelf offering ample storage space for the day-to-day items. The top of this chest is large enough to display collectables and/or family photos. The curves of our chest give it personality. 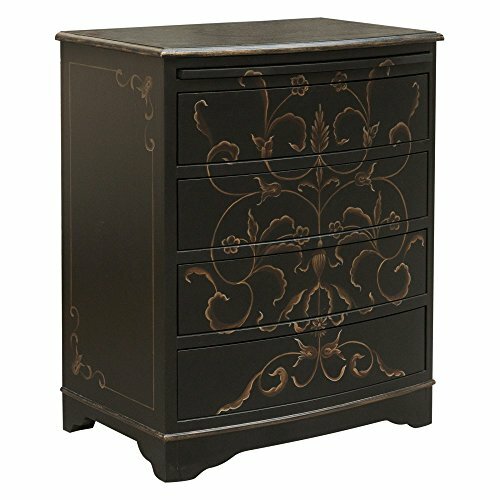 The classic bombe shaped chest is hand-painted with tale floral on a deep Center Stage Red/Brown finish. Notice the high cabriole foot, which gives the chest a light airy look. There are three wide drawers. The Anna accent chest gives your home the style and functionality you have been searching for. 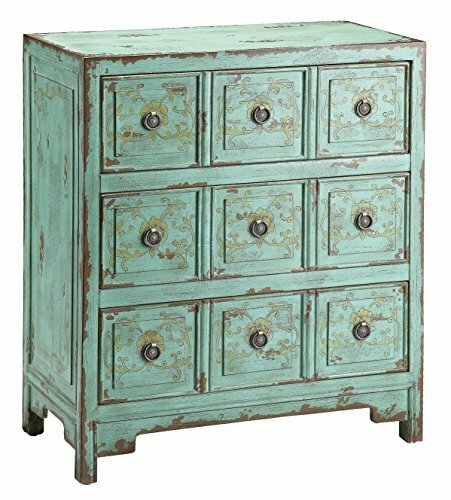 This chest has a hand-painted vintage green finish. The three apothecary styled drawers create generous storage space. Use this chest in your living room as an end table, in the bedroom as a night stand, or in the bathroom. 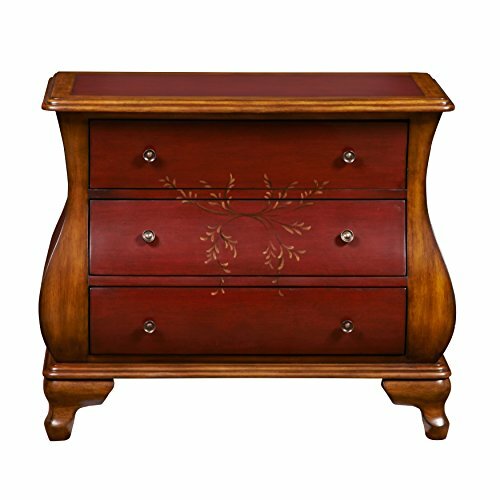 This unique accent chest has beautiful bombe shaping on the front and sides. Soft hued hand-painted scrolls and words of encouragement, such as 'Hope' and 'Love,' complement the neutral Maci finish and diminutive, dark bronze-finished hardware. The chest has three wide drawers. 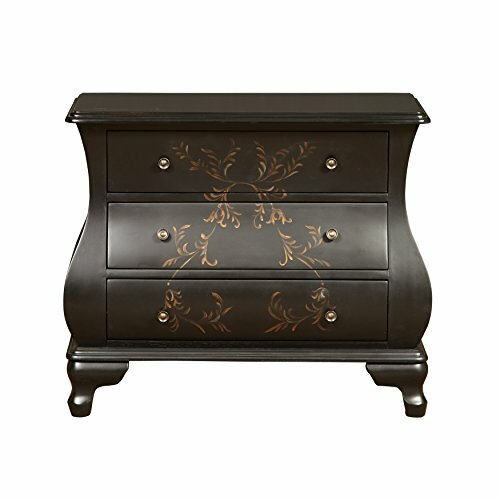 The Winter Woods accent chest adds artistic style and functionality to your home décor. The black and white aviary scene is hand painted and rendered with beautiful talent. Three large drawers create generous storage space while adding unique design to your home. The serpentine front is the perfect backdrop for the antique white finish. With all this chest has to offer, it is sure to make you the envy of your friends. This chest is sure to add a splash of personality to any décor. The Greybeau accent chest adds style and functionality to your home décor. 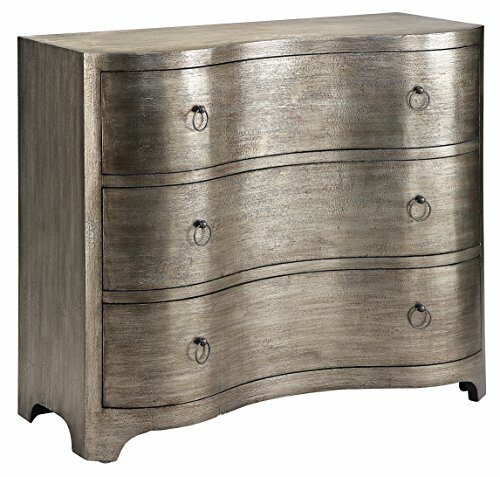 The chest has a hand-painted textured pewter metallic finish over silver leafing. Three serpentine shaped drawers create generous storage space. Use this chest in the bathroom for extra storage, in the dining room for table linens, or in the bedroom. This chest has all the storage and style needs you have been looking for. 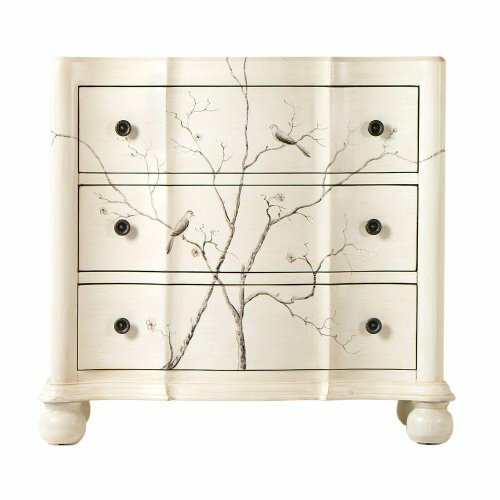 Looking for more Hand Painted Chest Drawers similar ideas? Try to explore these searches: Taiga Leather Messenger, Pneumatic Valve, and Atlanta Braves Uniforms. Look at latest related video about Hand Painted Chest Drawers. Shopwizion.com is the smartest way for online shopping: compare prices of leading online shops for best deals around the web. 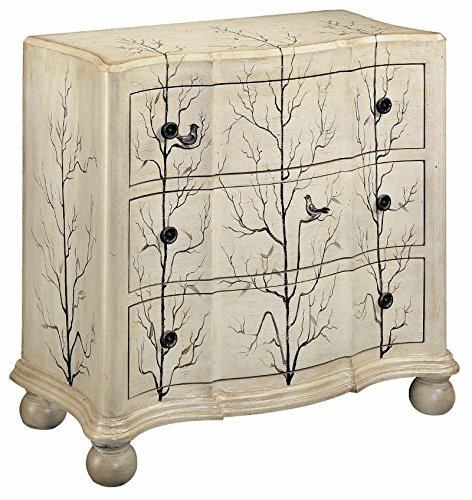 Don't miss TOP Hand Painted Chest Drawers deals, updated daily.